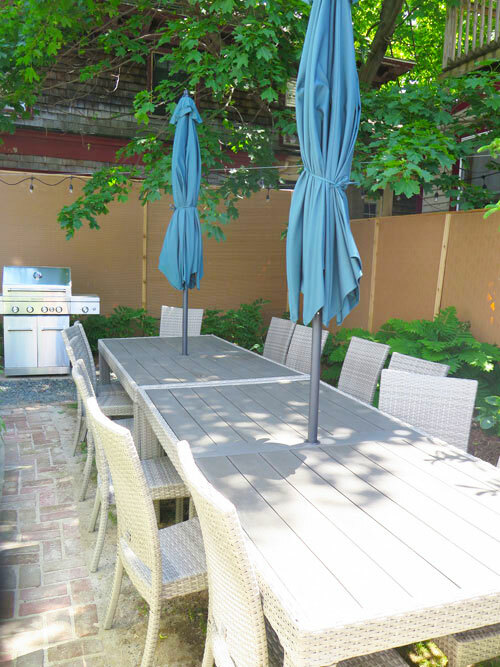 Right in the center of downtown Bar Harbor is a wonderful, spacious house that can accommodate your full and extended family! The new owner (who also owns Brightholme and Perwinkle Cottages on our website), is renovating and furnishing the interior this winter, updating the kitchen and applying fresh paint! 7 bedrooms and 6 bathrooms make this the ideal property for a family reunion or friends vacationing together! 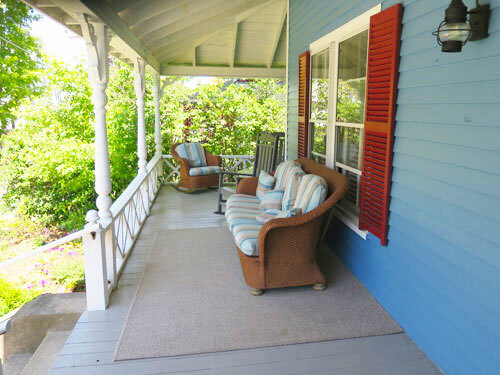 Enjoy the lovely old fashioned front porch overlooking the small street, as well as the back porch for BBQing and outside dining. Blue Eden is just a few blocks from the Village Green, and about 5 blocks to the Sand Bar Beach! The main floor of the cottage features the living room with lovely furnishings, dining room, renovated kitchen and king bedroom with ensuite bathroom (shower). The second floor features one king bedroom with tub/shower bathroom. There are two queen bedrooms, both with en suite shower bathrooms. There is also a 4th bathroom with tub/shower on this floor. The third floor features a double bedroom, a bedroom with two twin beds and a queen bedroom. There is also a bathroom on this floor with shower. Walk to town for dinner, or pick up the Island Explorer Bus at the Village Green (just 4 blocks away) and explore Acadia National Park and the rest of Mount Desert Island. One entrance to Acadia National Park for hiking, biking, and sight seeing is only about a mile away. Other amenities include a cable TV, DVD, WIFI, washer/dryer, microwave, dishwasher, gas BBQ grill, and parking for two or more cars. Click here for more complete list of household items/amenities. 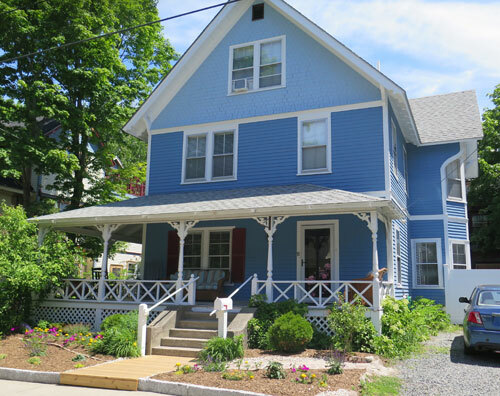 Blue Eden is convenient to the best of Bar Harbor and Acadia National Park. Downtown Bar Harbor is just a 10 minute walk away (sidewalked), and the Sieur De Monts Springs entrance to Acadia is just 1.5 miles away. Enjoy hiking, biking, boating, whale watching, kayaing, lake swimming, carriage road walks, horse back riding, wonderful dining, shopping, deep sea fishing! Visit the oceanarium, sail on the Margaret Todd, take a Jackson Lab visitors tour, enjoy tea and popovers at the Jordan Pond House, golf at a PGA top-rated course, play tennis. Kids activities include water park, miniature golf, beaches, and lots of ice cream/dairy bars! Dogs welcome, sorry no cats. $150/guest extra over 8 guests.